The CyberKnife Radiosurgery System is the first and only robotic radiosurgery system designed to treat tumors anywhere in the body, including the brain, spine, lung, liver, pancreas and prostate. It delivers high doses of radiation with pin-point, sub-millimeter accuracy. 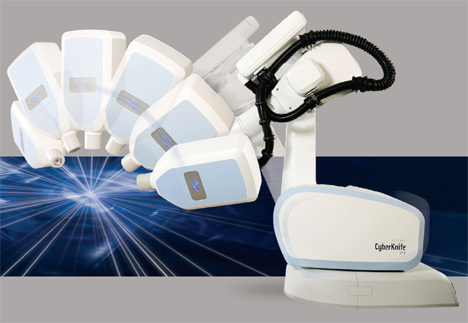 Because the CyberKnife can deliver radiation beams from virtually any direction, the radiation beams are focused precisely on the tumor minimizing damage to the surrounding healthy tissue and nearby critical structures like the spinal cord or optic nerve. Cyberknife is the world’s first and only robotic radiosurgery system designed to treat tumors throughout the body non-invasively. It provides a pain-free, non-surgical option for patients who have inoperable or surgically complex tumors, or who may be looking for an alternative to surgery. CyberKnife treatment is performed on an outpatient basis. 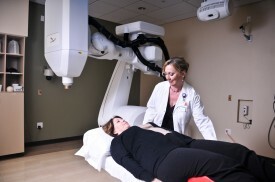 The patient receives an initial consultation with the radiation oncologist and surgeon. A CT scan (3-D X-ray) is obtained. The 3-D image obtained is used by the physicians, physicists and team to create a treatment plan. 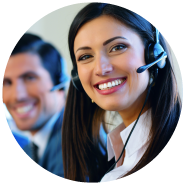 The patient will return for the one-hour treatment within a few days after the consultation.The number of treatments will vary depending on tumor size, location and shape, but the number of treatments is usually between one and four. Non-invasive – Unlike other radiosurgery systems, the CyberKnife does not require invasive head or body frames to prevent movement during treatment. The CyberKnife System tracks the tumor’s position during treatment and automatically adjusts the treatment delivery.